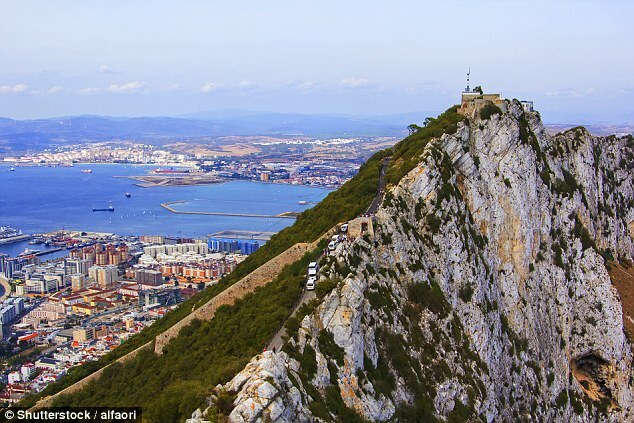 Spain has warned Britain it will veto Gibraltar being included in the Brexit transition deal without a special arrangement. In a re-opening of an incendiary row that has the potential to explode the entire negotiation, Madrid has insisted it wants concessions. Excluding Gibraltar from the transition deal could close the border and cause chaos for the thousands of people who cross it every day. Spain and the UK have wrestled over the Rock for decades. A British territory since 1713 and home to a vital Royal Navy base, Spain has long demanded its return. A Spanish government source told the Guardian: 'I think the situation with Gibraltar is crystal clear. 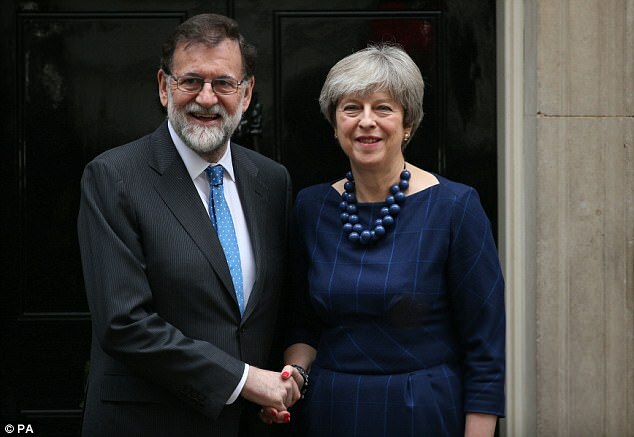 In Brussels last week, Spain's PM Mario Rajoy said: 'Whatever future agreement between the EU and the UK, there has to be an agreement between Spain and the UK for that to apply to Gibraltar. Britain's position throughout the negotiation has always been Gibraltar is part of the UK and must be covered by any Brexit deal. There was a major row in May when the first Article 50 negotiating guidelines from handed Spain a veto over the talks in relation to Gibraltar. It prompted an extraordinary from former Tory leader Michael Howard that Theresa May could go to war to protect the Rock. Government sources told the Guardian today that any attempt to exclude Gibraltar would be a 'total contradiction' of the EU position. 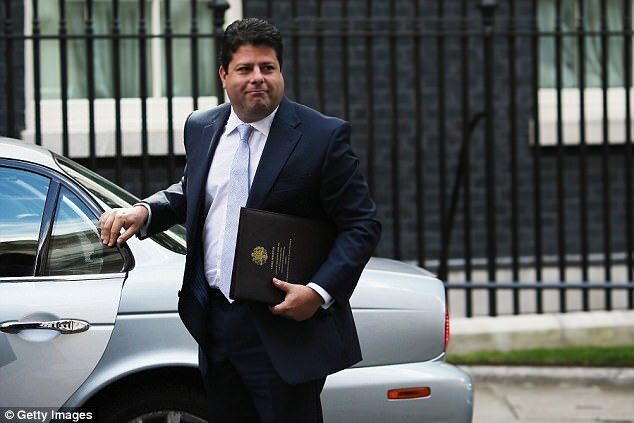 They said: 'The April guidelines made clear that the article 50 negotiations applied to our overseas territories, and that transition is part of that process.